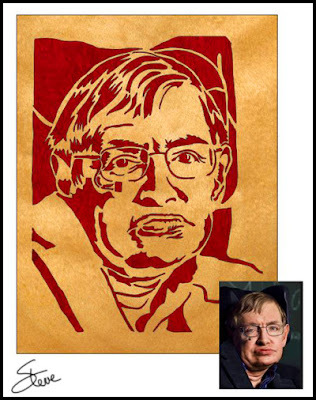 Stephen Hawking Scroll Saw Pattern. The world lost one of the greatest scientist of our time yesterday. 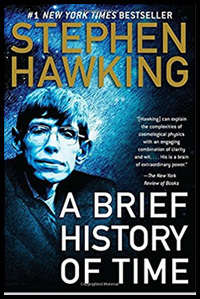 Stephen Hawking was an English theoretical physicist, cosmologist, author and Director of research at the Centre for Theoretical Cosmology within the University of Cambridge. Hawking was diagnosed with ALS early in his life. The disease paralyzed him overtime and also took his ability to speak. He used a speech synthesizer built into his wheelchair to communicate. Luckily for the world the disease could not rob him of his genius. The prognosis for Stephen after the diagnosis was that he might live two years. He spent the next 50 plus years didicating his life to science. Professor Hawking had the incredible ability to take advanced scientific subjects and communicate them to the general public. His book "A Brief History of Time" is one of my favorite books. I read the paper book then listened to the Audible version just because it was so awe-inspiring. The world of science has lost a great thought leader and iconic personality. He will be missed. 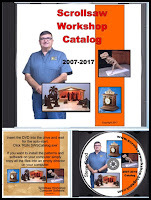 Another Woodworking show added to my schedule! Texas! 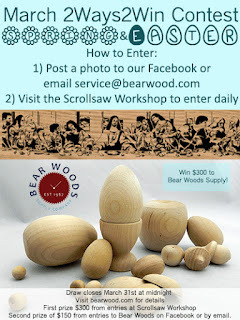 I just received word that I will be a guest of Bear Woods at The Woodworking Show of Texas. The show is April 13th - 15th in Houston Texas. This looks lake a fun show with lots of great vendors.If you are in the area please stop and say hello. 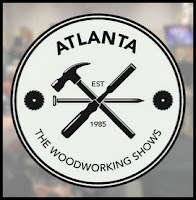 Wow it's almost time to head down to Atlanta for "The Woodworking Shows- Atlanta event". The show starts this Friday March 16, 2018 at the Cobb Galeria in Atlanta Georgia. 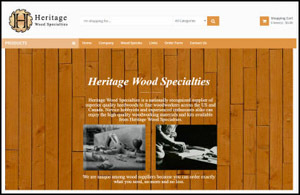 I will be the guest of the Gwinnett Woodworkers Association in their booth. I will be there all three days but may arrive a little late on Friday. I'm going to drive down Friday morning and it almost a six hour drive. Please stop and say hello. I am excited to meet everyone again this year. 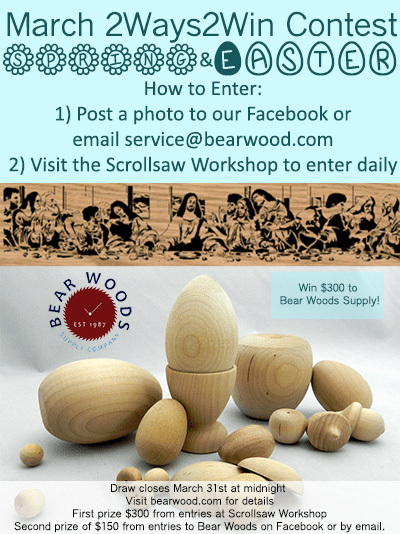 I will also be the guest speaker at the Monday meeting of the Gwinnett Woodworkers Association scroll saw meeting. 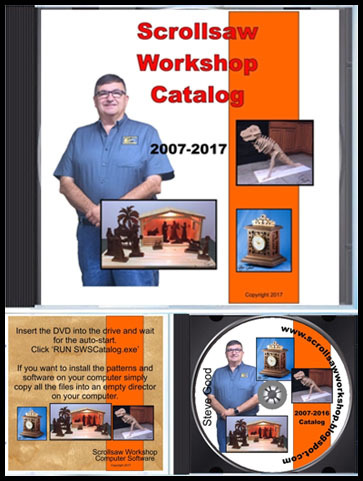 If you are a member of the group I would love to see you at the meeting. I think I have an interesting presentation that may even keep you awake.